Pregnancy brings in a lot of emotions. Everyone you meet has a piece of advice to give you regarding what you should do and what you should eat. This brings in even more confusion. This Indian diet plan for pregnancy will help you clear the air a bit. Here is a sample Indian diet plan for pregnancy which will give you an idea of what food items can be chosen for obtaining optimum nutrition for your baby and yourself. A woman who starts her pregnancy with a nourished body has a lot of nutrient reserves to supplement the growing fetus. Hence the growth of fetus is optimized without affecting the women’s health. A well-nourished mother can also lower the risk of post postpartum complications. And also aids in better lactation. Hence the items mentioned below should be consumed right from the time you want to start planning your baby. Smart nutritional choices can help make sure that you and your baby start out with the nutrients that you both need. The key to good nutrition during pregnancy is the balance. Before we see the Indian diet plan for pregnancy let us first look at the foods that I have used in making this Indian diet plan for pregnancy and their nutritional importance during this phase. These foods provide protein, iron, and zinc. There is an increased demand for protein during pregnancy particularly in the second half of pregnancy. The normal protein requirement of adult women is 1gm/kg body weight. During pregnancy, it is recommended to have an additional 15 gm/day. The additional protein is essential to meet growing tissue demands. This group is a major source of protein, calcium, phosphorus, and vitamins. Dairy products are one of the best sources of calcium, and your body needs a lot of it during pregnancy. Eat low-fat dairy products if you are worried about too much weight gain in pregnancy. Cheese, milk, yogurt are excellent foods for pregnancy. This group provides Important nutrition during pregnancy like vitamins A and C, potassium and fiber. Fruits such as oranges, grapefruit, melons, and berries are the best sources of Vitamin C. It’s easy to eat three or more servings of fruit a day: juice or fresh fruit for breakfast, fresh or dried fruit for a snack, a fruit salad with lunch and a cooked fruit dessert with dinner. One should have raw, leafy vegetables like spinach (palak) and other vegetables like carrots (gajar), sweet potatoes (shakarkand), corn (Makka), peas (matar) and potatoes. These foods contain vitamins A and C, folate, and minerals such as iron and magnesium. They are also low in fat and contain fiber, which helps to alleviate constipation. This group provides complex carbohydrates (starches), an important source of energy, in addition to vitamins, minerals, and fiber. Pregnant women need 6 to 11 servings daily from this group. Grain products are also a good source of protein, which is the building material of body tissue for you and your baby. Many grains are enriched with B-vitamins and iron. Use sparingly, since these products contain calories, but few vitamins or minerals. Fats should not make up more than 30 percent of your daily calories. Try to select low-fat foods. many Indian women are anemic (from monthly blood loss, improper diet or previous pregnancies), you may want to fortify your iron levels even before becoming pregnant with such foods as meat, raisins and prunes or beans, soy products and spinach. Your body is better able to absorb iron when consumed with foods rich in vitamin C, such as citrus fruits, potatoes, and broccoli. Pregnancy doubles a woman’s need for folate (folic acid or folacin). Research suggests that folic acid supplementation during the weeks leading up to and following conception may help prevent neural tube defects. Foods rich in folic acid include liver, deep green leafy vegetables. We now have a detailed Diet Plan For Pregnancy Ebook. 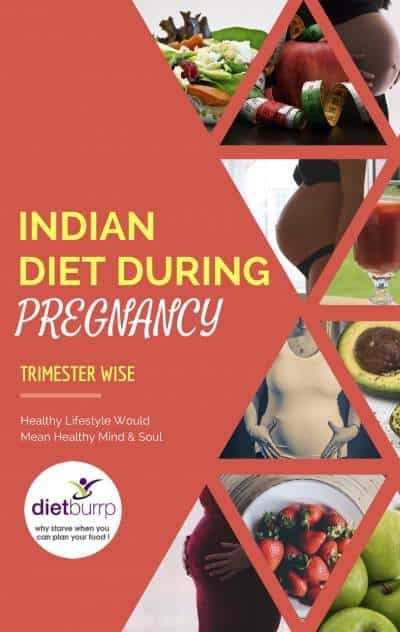 This is a comprehensive and practical Ebook about Indian diet plan during pregnancy. This book consists of the recommended dietary allowance during all 3 trimesters of pregnancy. 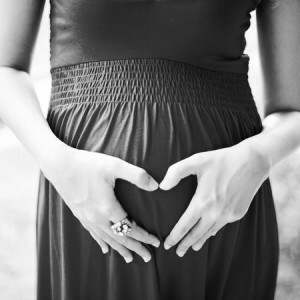 Simple tips on how the trimester will progress and how your food choices should be. We have given a sample detailed diet plan of 1 week of each trimester. 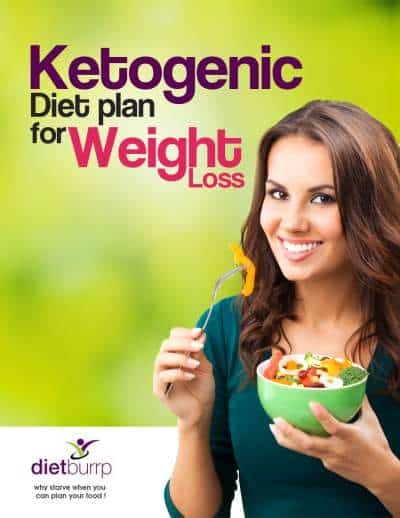 The diet plan provides you with all the needed micro and macronutrient that are necessary for your safety, well being and for your baby’s growth. You will find the detailed calculation of nutrients as well. Carrot Stuffed Paratha(2 medium sizes) 200 6 Carrots help in providing fiber keeps you away from the skin and digestion problem during pregnancy, and cuts on the risk of the baby developing jaundice at birth. Egg Omelet(2 No.) 160 10 Eggs are easy to make and the best sources of proteins that help in baby’s growth. Apple / Orange / Pomegranate (1 medium size) 40 – These fruits help in maintaining hydration and Ph balance in increasing blood volume. Palak Paneer(1 small bowl) 150 6 Spinach is rich in folic acid and iron and helps in maintaining a healthy pregnancy. Lemon Rice(1 small bowl) 100 2 Vitamin C from Lemon helps in taking care of the huge metabolic wastes produced in the body during pregnancy. sliced tomatoes(2 medium sizes) 40 – Antioxidant lycopene helps in taking care of metabolic wastes. cheese chilly toast(2 slices) 150 4 cheese has good calcium and protein which helps in the growth of the baby. It also helps in the formation of smooth stools, which helps relieve constipation. Jaggery( small pieces (15 gms )) 25 – Its iron content helps in increasing hemoglobin with increasing blood volume. Jowar / bajra roti with ghee (1 tsp )(2 medium sizes) 200 6 These grain are easy to digest and do not burden the system. jaggery(2 spoon) 25 Its iron content helps in increasing hemoglobin with increasing blood volume. Beetroot + carrot kheer(1 bowl) 150 6 Beetroot and carrots increase hemoglobin and are rich in Vitamin A and other essential nutrients that help in the growth of the baby. In the above given Indian diet plan for pregnancy, I have also mentioned some facts that will help you know why you should be eating the referred food and how it is going to help you in your pregnancy. Indian diet plan for gestational diabetes. – what foods to avoid during Pregnancy. The above given Indian diet plan for pregnancy is a general chart and can be used as an example. But this Indian diet plan for pregnancy may or may not suit everyone as everybody has a different response to a different food. 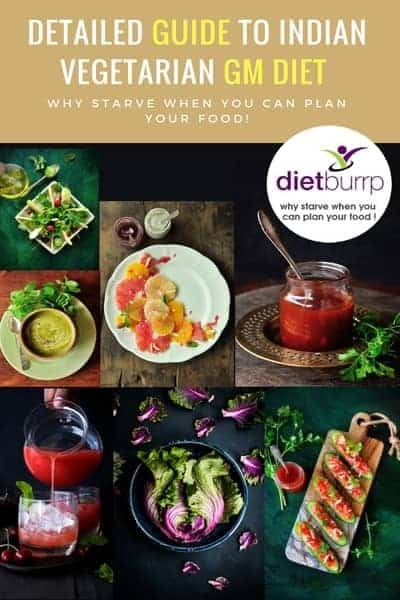 The above given Indian diet plan for pregnancy is suitable for women who are free of all sorts of food allergies and do not have any complications in pregnancy. In case of food allergies and complications, we can plan a personalized diet chart to suit your requirement, please check our diet services. At 08:00 am- I Glass Ragi Porridge, For Breakfast at 09:00 am- Upma, Idli, Dosa etc 1 Glass of milk with protein powder. 11:00 am Apple/ Pomegranate 12:30 pm Rice and any curry & some vegetables, 03:00 pm Any fruit/ dry fruits, 06:00 pm Fruit/ Rusk 08:00 pm 2/3 Chapatis with Vegetables 10:00 pm 1 Glass of milk with Protein powder. I eat meat/fish once in a week. I have always been 53-55 kgs and I don’t have tendency to gain weight. What should be my diet for better health & growth of the baby? you need to eat egg white in any form you like every day . include 10 – 15 soaked almonds 2 times along with your glass of milk . in addition to 2 dates and 2 pieces dry anjir and 5- 8 pieces cashew . this will help in improving fetus weight . also add 1/2 – 1 spoon ghee to your dals , rice and roti . you can take the above mentioned diet . it will help you in all aspect . just mind the total salt intake . I am in Us and we only get salmon , tilapia etc frozen fish. are these ok? I eat salmon 2xweek. Also, is my diet chart ok? Tryng to follow your guideline as much possible. And for daily then which daal you recommend? Hi Meetu , high protein as in you can add more milk , curd , cheese, paneer, lentils , eggs , fresh water fish , lean meats in your diet . eating almonds and walnuts are good too. I am 31 week (8month)pregnant when I was 4 month pregnant doctor told me baby’s growth is good now doctor told me my baby’s growth is not proper low iron and low protein so please tell me which food I have to eat. the above mentioned diet is 100% suitable for you . please follow it . Hi , I m 19 weeks pregnant , and this is my 1st pregnancy . I had an missed abortion last year at 9 week preg due to no cardic activity . My weight is 94 kg and height 5.3 . Although doctor has said everything is fine , my bp and sugar is also normal so far , but still I m concerned about me and baby health , as to what to eat and what to avoid . Is the above mentioned diet chart suitable for me .? Please help me. HI PAYAL I M 11 WEEKS NOW. FROM 1ST TO 8 WEEK I WONT LIKE TO EAT CHAPATI INSTEAD OF THAT I USE TO LIKE BHAKARI OF NACHANI & RICE FLOUR & RICE DAL ETC & FISH TOO. BUT NOW I EAT CHAPATI NO VOMITTING PROBLEM OCCURS. MY REPORT SAYS EVERY THING IS NORMAL BUT I DONT THINK SO I HAVE PUT ON MY WEIGHT. WHAT SHOULD I DO. & FROM NOW ONWARDS I LIKE TO EAT FISH & EGG THAN THAT OF VEGETABLES IS IT ALL NORMAL. Yes you can take ginger water , this will help in sore throat and cough . you can also add a mulethi stick to this water while boiling . M 20weeks pregnant with twins..i hv gaind arnd 2kg weight..i am 5″3 and weigh 66kg. Please suggest me if i need to change or add anythng..
you need to change your breakfast .. consume some more fiber .. so either roti and sabji , or have vegetable poha , vegetable upama , or a vegetable suffed paratha . 2nd facto , because you are carrying twins , you are going to need a lot of proteins. what you are consuming right now is too less . include curds , dals, legumes , besan , sprouted cooked moong in your diet . Thanks for the information about the Indian diet for Pregnancy and the plan listed out in your blog. This is really helpful. I used to eat non-veg before pregnancy but I have almost quit it during pregnancy. I feel protein content may be inadequate in my diet. Please suggest if I should be including anything specifically. Thanks Payal for your feedback. I will try my best to incorporate them. I’m 7 weeks pregnant… can I take quail eggs (boiled) in my diet? Hi Vidhya , Thank you for reading at Dietburrp . Yes you can hae well cooked quail eggs . But make sure they are fresh . Its nice to see ur diet plan. I am posting it here at first time as i am 11 week pregnent now.My height is 5″2 and weight was 50(current weight is 52). Hi , to increase water intake , include some coconut water , buttermilk , pomogranate juice and soups in yur diet , this will make up for fluids and nutrition too. Pls kindly suggest a diet chart for pregnant hypothyroid patient. We dont have a particular diet plan for this condition yet , but will be working on it soon and posting. I am 27 weeks pregnant and my weight is 53 kg at present. Before pregnancy I was 47kg, I didn’t gain much weight, moreover I fell sleepy and lethargic all day. I have different mood swings and mostly it is feeling sad all the time. Pls suggest a good diet plan to gain weigh and feel energetic through out the day. Also help me how should I deal with this mood swings. the above mentioned lan will help . mood swings ae natural and common due to hormonal changes .. just be in good spirits , do what you like to do the most .. be around happy and cheerful people , read good books , listen to good music and eat well . banana , walnut , garden cress seeds , flax seeds , egg white are all mood enhancers. include them in your diet . meditate .. do yoga , go for small walks . cheer your self up . you dnt want your baby to be all cranky all the time rite … so be happy . you should follow the diet plan mentioned above , and in addition have almonds and cashew in the morning with milk and at bed time with milk . Hi Fozia , yes you can have that , but taking 1 glass milk with 1 tsp of ghee in it at bed time and having a cheese cube at bed time will help a great deal in constipation. I am 28 week pregnant, this is my first pregnancy. i am suffering from headache from 1 month. all reports says normal. is there any diet problem ? please suggest me good diet plan. I am 29 weeks pregnant. I would like to know what vegetarian food should I eat to increase the weight of the baby during pregnancy. I have kept your above diet plan. But I haven’t felt that hungry during pregnancy to follow it completely. Also can I start to drink saffron milk now ? yes you can start with saffron milk . make sure you add 4-5 buds only . Super and thank u very much for the food chart during pregnancy. Is any specification for week by week food consumption or the food chart is for all I mean through out the pregnancy period. Hi Jai , the same chart can be used in all trimester , just the quantoty of food will change . also we are alreay woring on a trimester wise diet plan , you will soon get it . I am 33 yr old and weigh 90 kg and height is 5’3″. I am 8 weeks pregnant.I am taking 5mg folic acid everyday after breakfast as prescribed by my gyny. I feel bloated all the time, it was same before pregnancy also. My stomach gets cleared at least 3 times a day still I feel bloated. Tell me what can I start taking to ease bloating and constipation like isabgol or something else . I don’t have much vomitting also as gyny has prescribed doxinate tablets 2 times a day. I am eggetarian. 5:30 – 6 PM : 1 cup tea , Roasted chana or dry bhel or homemade chivda or 1-2 multigrain biscuits. 1. Please suggest if I should be including anything specifically. As I am overweight, I don’t want to put on much weight but dont want to compromise with baby’s development as well. 2. For bloating and constipation please suggest. 3. how much should be DailySugar intake? 4. can I eat maggi once in a month or so when I feel craving for it. 1] you can take isabghol and barley flour roti instead of wheat flour for bloating . this will help great deal . 2] 8 am – tea … please take it later , dont start your day with tea. baki your diet looks good. 4] less sugar intake is good , so avoid wherever possible . going off sugar is good too. Nice post. What you eat during pregnancy plays important role in your baby’s growth. It is important to eat the right food in the right amount of quantity to ensure you are getting proper nutrition. It is important to stay hydrated during pregnancy. Include lots of fresh fruits and vegetables to fulfill the fiber, vitamins and minerals requirements. I am in the sixth month of my second pregnancy and all your tips are bang on. But I can’t resist my temptation to sip on my morning and evening tea. I got to know today, I am pregnant. I have missed period by 4 days now. Feeling little weak. I am working and this my first pregnancy. Please if you can advise me a diet chart for 1st trimester. I am a non vegetarian and my weight is 55kg and height is 5ft 3.
the above mentioned diet has a very good menu based on all the nutirents required during pregnancy. so use the same menu , but eat in the quantity that suits you . Ma’am I am 17 weeks pregnant. My age is 26. Height 5’1″ My weight is now 57 kgs. My fetal weight 164gms. Please suggest me what should I eat? the above mentioned plan is good for you … it will help in all round development of the fetus . I am 10 weeks pregnant and my weight is 70 KGS and am 5.4 height . Can you suggest me a diet plan where I don’t gain much weight but baby gets necessary nutrients. Can you help me with your advice. Yes taking injection is a better option . eating the required nutrient is not every thing .. it needs to get actively absorbed in the body , which is an issue . hence taking injection is a better obtion. I am one month pregnant now and I have diabetes could you pls provide me the diet plan. I am 10 week pregnant but at the 7 week sudden bleeding started for a day i was admitted.now i take every thing in my food but i do not take milk..because i feel vomit from its smell…is it neccessary to take milk..please send me proper diet schedule .. I like eating chana Chaat and all. Please suggest. Ok so I can have boiled green moong dal or chana as a snack in the evening right. In the form of Chaat. I am in my first trimester and I am always hungry. you can follow the same with a little less quantity then mentioned. Dear dependable, i have entered in the second trimester very recently.Gossips are there that I should take 2 eggs daily(1 boiled and other fried taking time 5 minutes to be safe from salmonella bacteria)and 750 ml or 1lit milk in any form. Protin should be doubled.Not carbohydrates.I am 23 aged, height 4 feet11inch and weight 47.6kg living in westbengal. Please make a diet chart for me. Hlo mam, I am 21 weeks pregnant please suggest me a proper vegetarian diet plan for good development of my baby. I usually got constipation problem and acidity, please suggest someways to avoid them.I am having back pain and leg pain also I got my calcium checked it comes upto border line. I feel always hungry. Please also suggest me what is an ideal calorie intake for me during this time. Thank u so much mam for giving such a big platform for consulting. You will find all your answers in the article above . literally everything is discussed at length . for constipation , you can try having a glass of warm milk at night with 1 tsp ghee. this will really help in relieving constipation the next morning. I’m due to periods on 15/02/2019 I have period like cramps and back pain since 4 days, but no sign of period till now. Could I be pregnant I’m really confused when should I test for Pregnancy I’m eagerly for the good news. hard to guess, you can do a pregnancy test after a month from your LMP ( last menstrual period date).